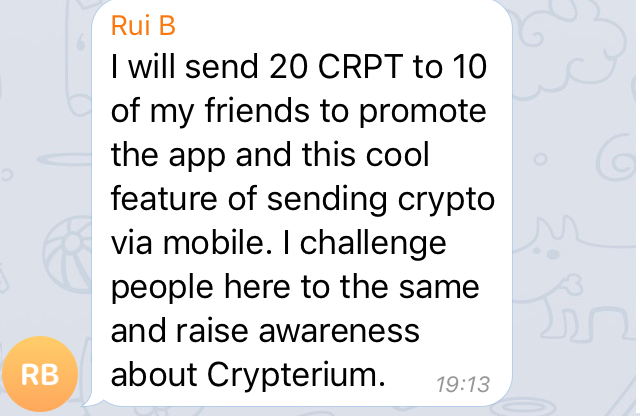 It’s been a month since we released our first crypto-fiat solution that makes it possible to top up your phones with crypto on the go. And it’s been nearly a month since we got first “it’s running smoothly” from you. 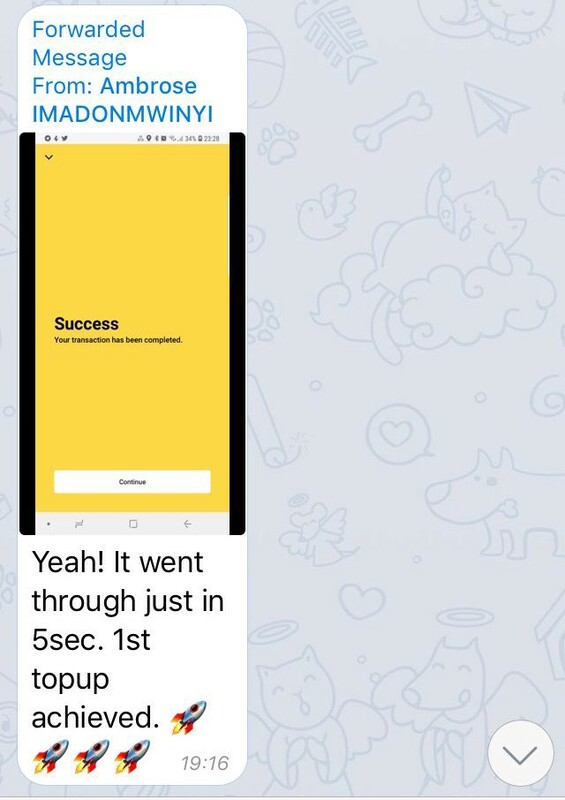 As we kept updating our app with new functions (crypto transfers, vouchers and etc. 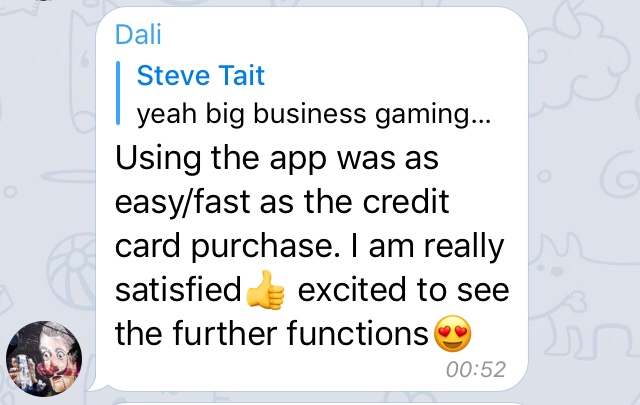 ), we received more positive feedback. Here are some of the comments we’ve got. 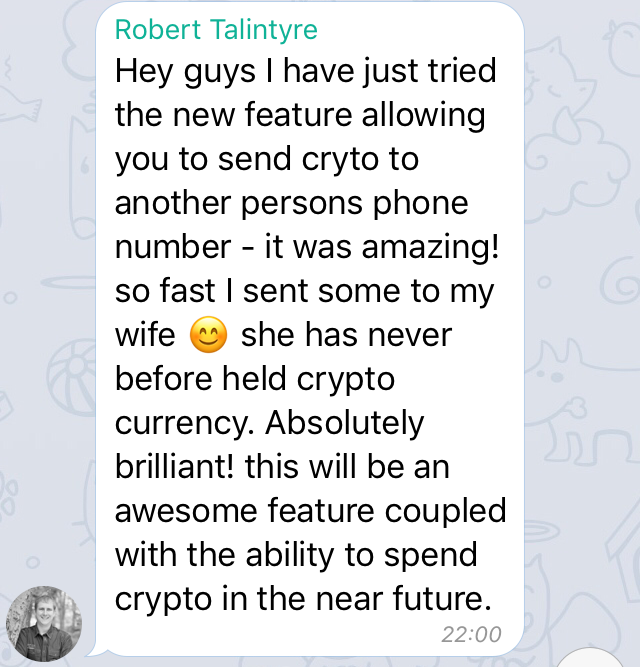 And this comment refers to the feature that allows you to top up your Skype, Viber and Steam creditcs with crypto. By the way, you can also refill your phone using our app. Yes, it is on our TODO list! Thank you once again for leaving your comments! 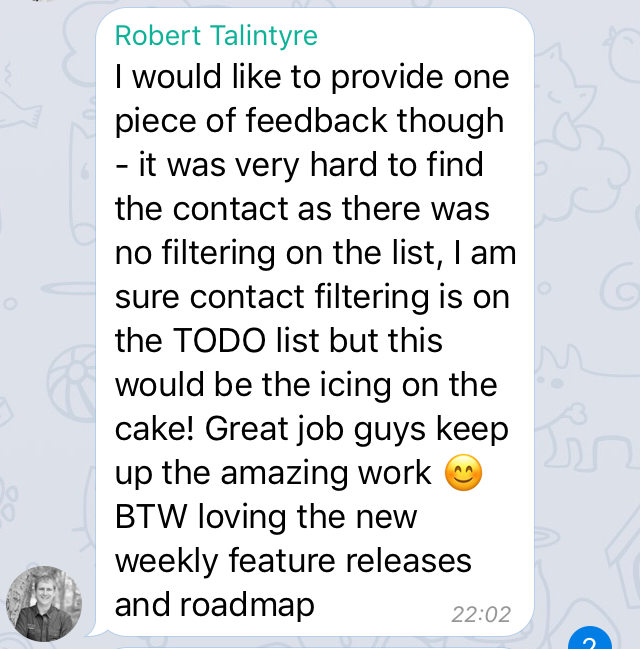 Your feedback is always welcome as it helps us figure our what meets your expectations and what we should work on. 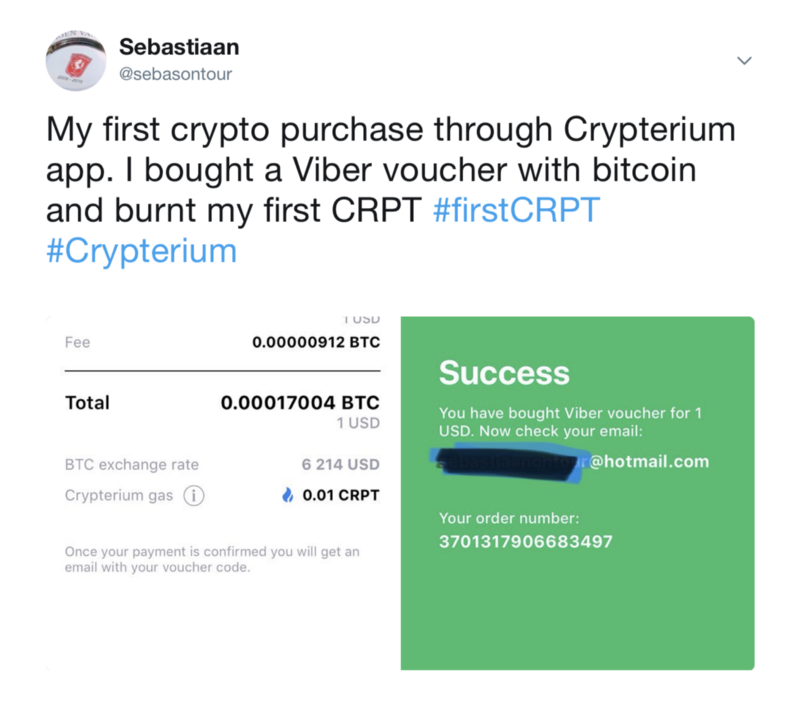 Share your experience using Crypterium on our social media channels and don’t forget to add the hashtag #firstCRPT, so that your friends could learn that crypto can now be used to make everyday payments.